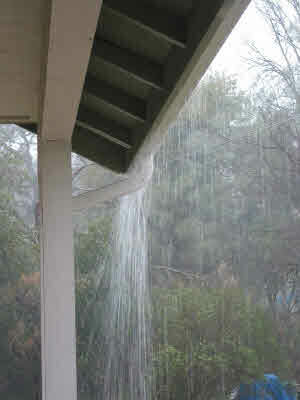 Blocked gutters can and do cause serious damage to your property and home. Gutters that are blocked up can cause awful damp problems in a property, leaving you with a building repair bill that could have been avoided. Many property owners tend to overlook gutter cleaning. Access can be a major problem as can the mess caused by gutter cleaning. But keeping your gutters cleaned and in good shape is essential maintenance for your building. Good clean and efficient gutters are an essential part of the buildings weather proofing system. Any neglect in this part of building maintenance is very likely to come back and bite you in the pocket. We are very experienced in gutter cleaning, the use of ladders and maintenance, and are therefore in a good position to help you with all your gutter cleaning requirements. We are specialists in gutter cleaning for residential and commercial properties of all types. Click Hereto tell us your needs. we have representatives right across the United Kingdom who will be delighted to help you. In the modern age there are alternatives available apart from the use of ladders, although they do for sure have their place. We have machines that will do the job efficiently and with the minimum of mess and fuss. Health and safety also is a major concern and these new ways of cleaning high gutters certainly take away some of the risks involved. Give us a call we are fully equipped to carry out your gutter cleaning requirements.